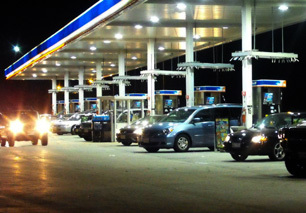 DCP is used in the manufacture of unleaded gasoline. 1,2-Dichloropropane (1,2-DCP) is an organic chemical used in the manufacture of unleaded gasoline, paper coating, paint remover, metal degreasing agents, dry cleaning fluid, and as a solvent for fats, oils, resins, waxes and rubber. It's also used in agriculture as a pesticide for nematodes and peach tree borers. DCP arrives in water mainly through discharge from factories. Some people who drink water containing 1,2-dichloropropane in excess of the maximum contaminant level [0.005 milligrams per Liter] over many years may have an increased risk of getting cancer. The EPA recommends granular activated carbon (GAC) combined with packed tower aeration (an air stripping method) for the treatment of dichloropropane. Lynntech reports that activated carbon has a “high probability” of removing dichloropropane on its own.